The 52nd Paris Air Show held this year on 9-25 June 2017 once again gathered the giants of aerospace with fans and followers of aviation. 290 official delegations from 98 countries attended the event in which a total of 897 military and commercial orders and purchasing commitments valuing $150 billion were made while 2381 participants from 48 countries displayed novel technologies and products throughout the exhibition. A total of 322 thousand visitors consisting of 142 thousand trade visitors and 180 thousand visitors from the general-public participated in the exhibition. Due to heightened security measures and the ongoing heat wave, the number of participants fell by 8% compared to the previous air show. Despite the noted adverse circumstances, the aficionados of aerospace showed deep interest in the novel platforms breaking the ground in the aerospace industry. Throughout the exhibition, which spanned 7 days, 140 platforms consisting of military platforms, commercial vehicles, business jets, helicopter platforms and unmanned air vehicles were displayed at the static display area. Airbus A321neo, Airbus A350-1000, Boeing B787-10, Boeing B737 Max9, Kawasaki P1 Maritime Patrol Aircraft, Mitsubishi MRJ90 and F-35 JSF platforms were demonstrated for the first time at the 2017 Paris Air Show. Turkey attended the event with their companies that are active in the aerospace/aviation sector and our magazine was, for the second time, among the official media partners of the Paris Air Show. Attending the last two events at a Chalet level, TAI once more became the Turkish company standing out at the event with its product portfolio that had expanded compared to previous years. Displaying the T129 “Atak” Helicopter and “Anka” UAV platforms at the static display area at the previous event, TAI demonstrated the Armed configuration of “Anka” UAV platform equipped with SATCOM and SAR systems at this fair. TAI also showcased the T625 Multi-Role “Özgün” helicopter the prototype mock-up of which was unveiled at the IDEF 2017 for the first time and Hürkuş-C Next Generation Light Attack / Armed Reconnaissance Aircraft in an exhibition of this scale as well. 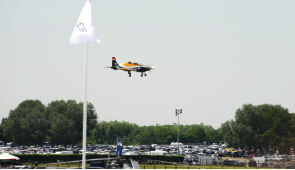 At the Air Show where Hürkuş-C configuration was displayed at the static display area, the Hürkuş-A New Generation Trainer configuration accomplished a flight demonstration at an international event for the first time. Within the scope of its first foreign mission, arriving in Paris after covering nearly 1.600 miles by flying over the air spaces of Bulgaria, Serbia, Bosnia Herzegovina, Slovenia, Croatia, Austria, Switzerland and Germany, the Hürkuş Trainer Aircraft also displayed an extraordinary performance with difficult maneuvers throughout the exhibition under the leadership of TAI skilled Test Pilots Murat Keleş and Murat Özpala and pushed the limits of +7G and -2G forces. Former Minister of National Defense Mr. Fikri Işık and TAI Chairman Prof. Oğuz Borat, TAI President & CEO Temel Kotil, Ph.D and numerous Turkish and Foreign senior invitees monitored the first 8-minute endurance flight on June 19 from the TAI Chalet. Accomplishing 9 sorties at the event that lasted for 7 days, Hürkuş Trainer test pilot Murat Keleş conveyed that they experienced a crucial achievement at this international event of such scale and assessed their preparation process for TAIMAG, the official media organ of TAI. Keleş stated that they made the required assessments regarding the endurance of the flight and stop points prior to the exhibition in February 2017 with the participation of the related units and added that they identified the demonstration flight maneuvers. Keleş continued: “We made the analysis of the critical issues such as the route to Paris, prior permission, maintenance and customs requirements and progressed in line with the identified report”. Pointing out the fact that planning the demonstration flight was the most critical activity, Keleş also underlined the importance of the preparatory stage of the flight and added, “There was a requirement for training in respect of the preparation of the maneuvers and building of the package. Meanwhile the intensive test processes of the aircrafts continued. With the support of the operation and the flight team, we completed this training that is favorability for the aircraft”. 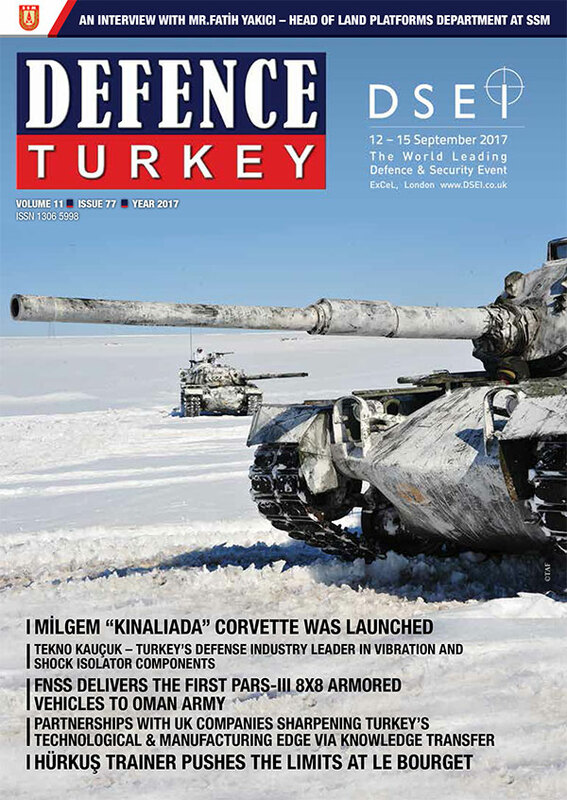 In addition to TAI representing Turkey successfully with its unique and national platforms, Roketsan, TEI and OSTIM Defense and Aerospace Industry Cluster OSSA displayed their products and capabilities to attendees at their own booths. Roketsan demonstrated the, Cirit, UMTAS and LUMTAS (Laser Guided UMTAS) Anti-Tank Missile systems and Launchers that are currently being modified in order to be integrated to the weapon bays of F-35 JSF of SOM-J Stand-off Missile, TEBER-81 and TEBER-82 Laser Guided Kit throughout the exhibition. At Roketsan’s booth, the former National Defense Minister Mr. Fikri Işık and the accompanying delegation as well as numerous domestic and foreign official delegations were hosted, throughout the event. Holding the record, TEI attended the Paris Air Show for the 9th time this year and demonstrated the two-stage supercharged diesel aerospace engine PD170 and the model of Turkey’s first National Turbo-Shaft engine TS1400 at its booth. The 53rd International Paris-Le Bourget Air Show will take place on 17-23 June 2019.